Known as the Queen Of Irish Country Music, Philomena Begley has made a firm imprint on the Irish, British and European markets. 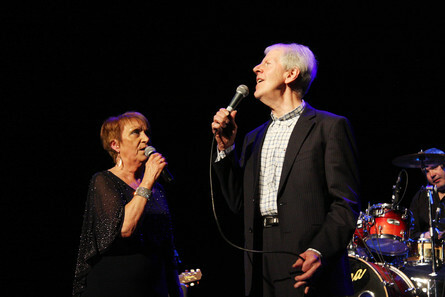 Begley has regularly toured with Ray Lynam since 1975 and they have recorded many duets together, their most popular songs being ‘My Elusive Dreams’, ‘You’re The One I Can’t Live Without’, and ‘She Sang The Melody’. After the ‘Simply Devine’ and ‘Two Of Us’ tours proving to be an incredible success, the pair are back with special guest Andrea Begley – 2013 winner of The Voice UK.